There was this young prince who desperately wanted to be “the King”. He was the only child of the one of the queens who was out of favor. This child was also not the favored child of the King. But he so desperately wanted to be King that he killed his own older brothers and captured the crown after his father’s death. He rose to be King and fought numerous wars to be an Emperor, feared by everyone around. He was a great warrior, an astute war strategist and a brave soldier. He was Emperor Ashoka. The irony is that Ashoka was an Emperor, a king and a ruler, yet was never truly a King. He so desperately wanted to be King, but did not know how to rule, command the respect of his subjects and lead with credibility that a true administrator would need. He lost interest in power, governance, his subjects etc., and turned into a Monk. Why am I telling you this story? I think this story is so very relevant even today. How many of us want to be “the King”? Probably the question is why should I not want to be “the King”? Aspiration and ambition is an integral part of one’s professional existence. Every professional wants to grow, command respect, demonstrate control and manage a territory in an organization. Smaller territories, one is probably a prince; larger territories a king and huge territory an emperor!! Why not, if one can conquer territory? The question is not, why not? The question is can you? Am I worthy to be a king? Ashoka went through a self-realization after becoming an emperor that he was not worthy of being even a King or a ruler; he abdicated his throne and walked away an embraced Buddhism (became a Monk). Did he reflect on how many thousands of people he killed to become a King, how many civilizations he destroyed to be an Emperor, how much damage he did to the state by failing to be a worthy ruler? He did not. Even if he did, could he ever bring back what he destroyed? He could not, he just walked away. How do we know we are not going to end up as Emperor Ashoka? Do we have it in us to not only grow our territory but also manage it? Are we worthy enough to manage it? Some self-reflection would be worthy today, than later after the damage is done. Ambition and aspiration is important for self & organizational growth. But if aspiration is ahead of one’s capability, it can and will cause immense damage to the organization and people around. A good leader is one who can recognize this and pace his/her aspiration accordingly. It also the role of senior leadership to recognize and intervene at the right time to staff-off any inadvertent collateral damage driven by individual ambition and sense of ignorance. Self-awareness and self-critical calibration is the key to building strong leadership muscle in oneself. Leaders tend to chase an image of themselves, after a while end up believing in that image to be true of themselves and then lose their sense of self-worth. Self-critical calibration is the key to staying grounded and balanced. Mama, I wanna… be King, cried the prince all the time. Understand your aspiration my son, but do you know what does it mean to be ready? A question Ashoka’s mother never asked. If she had asked, history probably would have been different. A professional, an entrepreneur, a humanist & thought leader with 25+ years of Industry experience across varied sectors – Petroleum, FMCG, Financial Services, IT Product and Digital & IT Services. Worked with well respected companies such as BPCL, Unilever, GE, Microsoft & Sapient.Specialties: Executive Coaching, Management & HR Consulting in the area of business & HR strategy, Org design & change, Talent Management and Leadership coaching & development. Professional Certified Coach (PCC) from International Coaching Federation (ICF), USA. 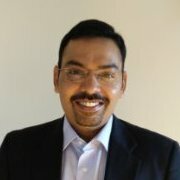 He is currently the Founder & Head of Planet Ganges, a Global Learning & Collaboration Eco-System leveraging “digital” to bring global learners, learning providers, corporates & universities on one platform to collaborate & enable boundary-less learning opportunities for every human on the planet. Why do I love to hate HR?